As a 17 year old school boy sensation, Simon made his 1st grade debut with the Illawarra Steelers and went on to play 120 games between 1990-1995. 1992 saw him make his representative debut for the NSW Blues at halfback as the replacement for an injured Ricky Stuart in game 1. Simon played a hand in leading the Blues to victory in that game but lost his spot as Stuart returned from injury for game 2. 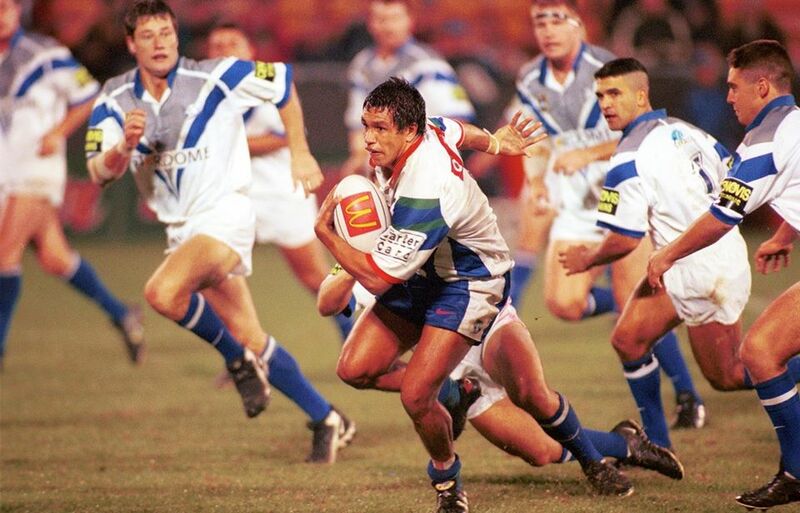 1996 saw Simon move to the Sydney Roosters but was unable to force his way into the first grade side due to Adrian Lam blocking his path at halfback. Seeking an opportunity to play consistent first grade footy, Simon moved to Parramatta Eels and played 3 seasons with them from 1997-1999 until Brian Smith spat the dummy at him and questioned his motivation and lack of fitness. During his first season with Parra in 1997, Simon was selected to play for Australia against a "Rest of the World" side. Australia went on to win the match 28-8 with SImon coming into the game off the bench as a utility and kicked his 1 and only international goal. While Brian Smith was busy throwing his toys about because he couldn't work out a way to win a premiership, Simon was on the outer and was granted a release to join the Auckland Warriors midway through the 1999 season. Simon's first grade debut with the Warriors had their incumbent Captain in Ridge out injured and saw "The Little General" Stacey Jones taking over as Captain in his place. Simon was sensationally given the reigns of fulltime captain in only his second game for his new club and would hold the Captaincy for the remainder of his time at the club. 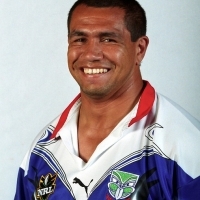 John SImon played 32 games with the Auckland Warriors, scoring 2 tries and kicking 51/79 at 64% (well up on his career % of 54) for a total of 110 points. During his time at the club he saw the team win 15, lose 15 and draw 2.